Boost mode is designed with the vintage valve amp or 'tone purist' player in mind, for when you don't want to alter the tone of your amp at all, but want to drive the front end even harder to push the amp further into the natural overdrive. The boost mode features a clean boost controlled by the pedal's volume control which will not affect your original tone. It can also be used for boosting the signal which can sometimes be lost when using long leads. 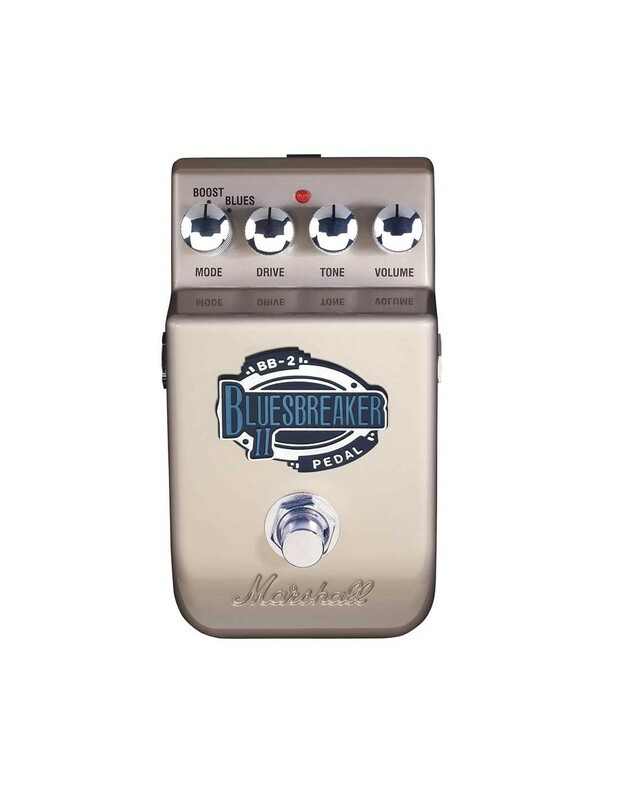 Blues mode is reminiscent of the tonal and distortion characteristics of Marshall's non Master Volume amps such as the classic Bluesbreaker combo from the 1960s. 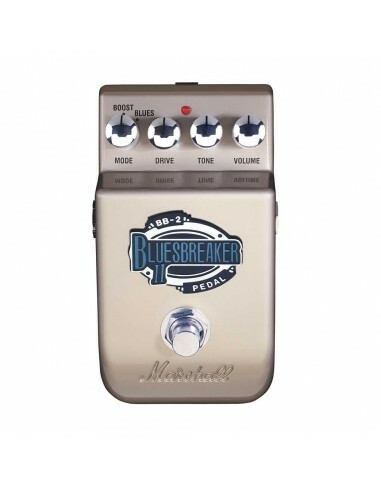 This mode produces a wonderful natural style overdrive for crunchy chord work and singing single notes for a truly inspirational leads, all delivered with the warmth and tonality of those early Marshalls.